To make a memory, your little girl can pick from a number of themes! You may also design your own theme. 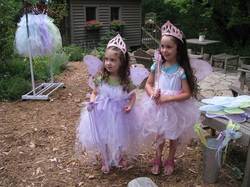 I will custom tailor your tea party to fit your little girl's dreams! Scroll down to see tea party themes and what is included with your tea party.